petition: This Woman Was Detained for Speaking Spanish — Demand Justice! 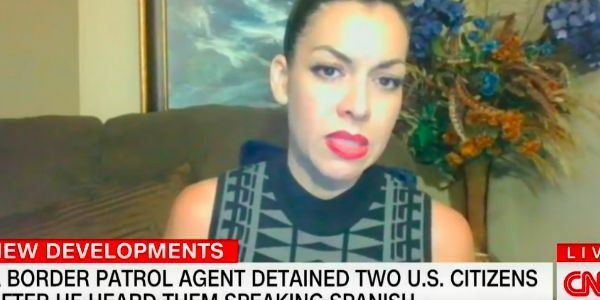 This Woman Was Detained for Speaking Spanish — Demand Justice! In May 2018, Ana Suda and Martha Hernandez were shopping at a convenience store in Havre, Montana, when they were detained by a Border Patrol agent and asked to show ID. The reason? They were speaking Spanish. It is not illegal to speak Spanish and the fact that a federal agent decided a language made someone suspicious is pure racism. The two women are American citizens, one born in Texas and one in California, and they are both bilingual. They have lived in Havre for several years, raising their families and working as certified nurse assistants at a local medical center. But that didn't count. The agent detained them for 40 minutes while he checked their ID. This is not a person who should be given the power to detain folks and that's why we are asking that he is fired immediately! On February 14, Suda filed suit against Customs and Border Patrol for violating her 4th Amendment rights. We so hope that the judge can see the truth here and rule in her favor. But regardless of the outcome of her lawsuit, one thing is for sure: the man who detained her has no business being a Border Patrol officer. Will you sign on asking that the man who showed blatant racism by detaining women simply for speaking Spanish be fired immediately? Speaking a language other than English is not illegal and this sends the message that folks need to censor themselves. But actually, more Americans should speak more languages. Learning new langauges expands your brain, gives you new opportunities and allows you to connect to more people. Speaking a language other than English is only a good thing and we should reward it, not punish it.